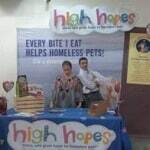 The High Hopes® for Pets Foundation has awarded $500 grants to Chicago English Bulldog Rescue, Midwest Shiba Inu Rescue and Hopeful Tails Animal Rescue. 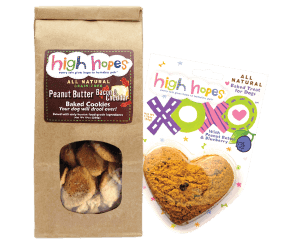 A big THANK YOU to all our wonderful fans who make the Foundation’s grants possible through your purchase of High Hopes®’ all-natural treats….your support makes it all possible! Please give them a big thumbs up and help spread the word! High Hopes® will be awarding more grants in October – so be sure to let deserving animal care organizations know the deadline for application will be September 30th, 2015. Chicago English Bulldog Rescue has rehomed 800 bullies over a 10 year period and counseled hundreds of families to provide support, encouragement and training to keep bullies in their home. 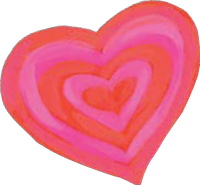 CEBR believes education is an important part of their mission, and as such, they try to educate both current and potential future bully families through community events whenever possible. 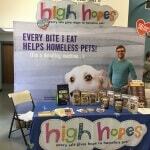 CEBR will use the $500 grant from High Hopes® to help fund medical expenses for current fosters. Midwest Shiba Inu Rescue (MSIR) is an all-volunteer rescue dedicated to fostering and finding homes for homeless Shiba Inu dogs into carefully screened, lifelong, and nurturing homes. In addition to rescue, MSIR volunteers provide medical care and/or rehabilitation for foster dogs and then attempt to match them with appropriate, permanent homes. In 2014, they were able to place 89 dogs in forever homes. MSIR also educates the public about the Shiba Inu breed, the need for dog rescue and dog training, and the importance of spaying/neutering pets to prevent overpopulation. 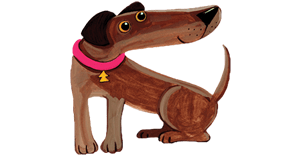 Hopeful Tails Animal Rescue is a no-kill, all breed rescue rescue group comprised of volunteers dedicated to making a difference in the lives of abandoned, abused and neglected animals. In just 18 months, the group has been able to adopt out over 700 puppies, and they are not afraid to take on special medical needs dogs. Started as a foster-based program, they quickly grew to need a facility. They will be using The High Hopes® for Pets Foundation grant to help install central air conditioning to keep the dogs cool.